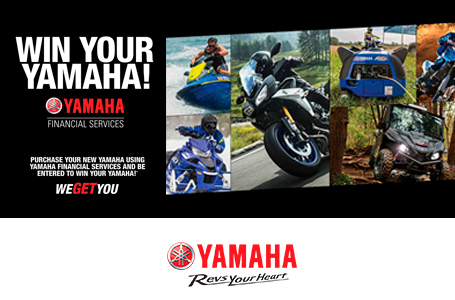 Lightweight, Portable Power: Weighing in as light as 60 pounds, these 139cc OHV single-cylinder four-stroke powerhouses offer a CDI ignition system, optimally balanced crankshaft, long-span mounting system, labyrinth exhaust and a host of other features for smooth, quiet power. They even have built-in carrying handles for true portability and convenience. 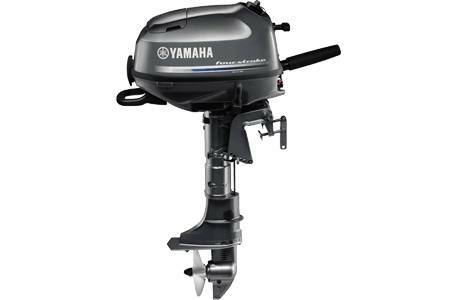 Maximum Efficiency: The carburetor and its setting is factory-selected for maximum fuel efficiency, helping these outboards achieve a 3-star C.A.R.B. emissions rating. Additionally, automatic decompression, built-in auxiliary priming, and start-in-gear prevention help make for easy, safer starts. Convenient Control: Control is key with a dynamically balanced and dampened large twist-grip throttle, 180-degree steering, and large F-N-R shift handle. Reliable Operation: A 1.1-litre see-through fuel tank is built in with switchable access to an optional external tank for extended range. 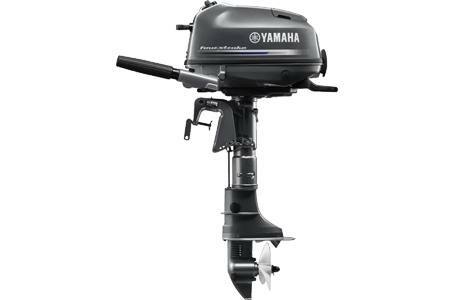 A tilted, water-resistant fuel filler cap and built-in fuel strainer add to both the convenient operation and reliability of these outboards. 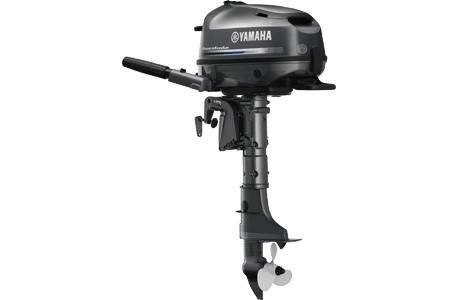 Easy Storage: This Yamaha exclusive feature provides peace of mind when storing or carrying the engine to and from the water. It allows the engine to be stored on either side or on the front grip without any fear of oil leakage, ensuring the engine is easy to start the first time out. Smooth Starts: A small auxiliary prime pump is fitted to the fuel pipe before the carburetor in the cowling. By ensuring the delivery of fuel to the carburetor, the engine can be started smoothly even after long-term storage. Minimizing Engine Wear: A pressurized oiling system minimizes engine wear for extra-long engine life. 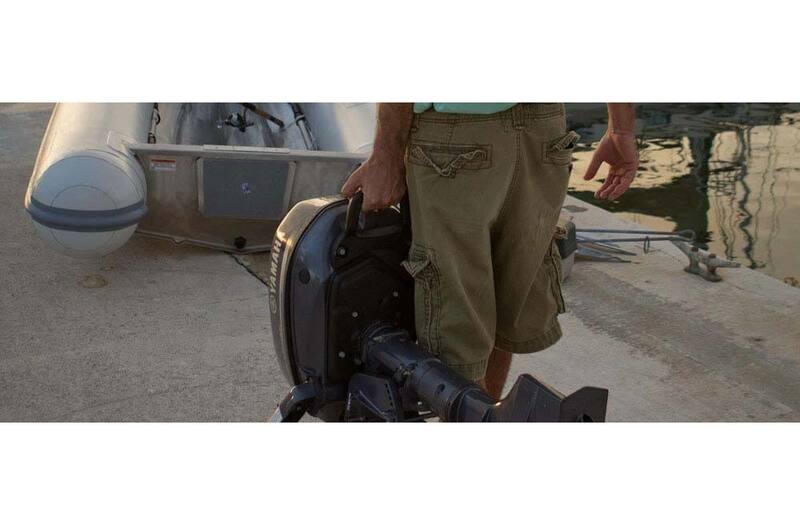 Versatile Performance: A 5-step trim adjustment couples with a 3-step Shallow Water Drive System to help make these outboards perform in various conditions. A splined propeller shaft and an expanded selection of available propeller sizes give you performance that's versatile and easy to handle and operate. Degree of Trim/Tilt: 5 positions / 69 deg.